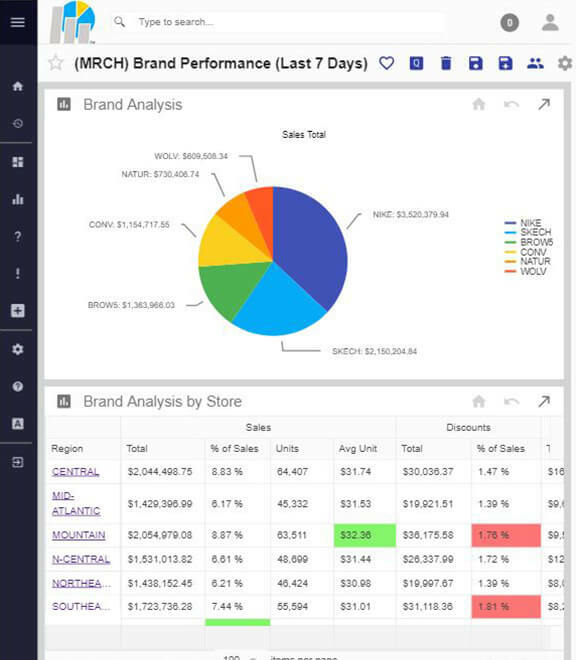 Part of the 20/20 Data Analytics platform, 20/20 Retail is a vertical business intelligence and data analytics solution that helps retailers to easily connect the dots within their stores. 20/20 automatically collects and analyzes data to identify anomalies and trends that can improve operations and reduce shrink. This flexible and intuitive solution provides users at every level of the organization with a complete view of the business, empowering them to make informed decisions faster and improve profit margins across the enterprise. Quickly view and interpret critical data with personalized visual dashboards. 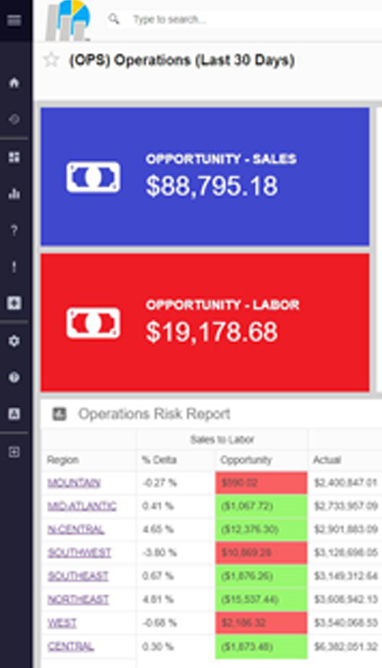 Easily create and assign specialized dashboards for specific roles or departments by adding reports or opportunity widgets to highlight critical metrics. Reports can be created with a user-friendly drag-and-drop user interface to monitor trends and create relationships between data sets by organizing mission-critical data with interactive grid & graph layouts. Click-to-drill functionality means that you can move from an enterprise-wide report all the way down to a particular location, line-item, or transaction with just a few clicks. Again using drag-and-drop functionality, users can easily build queries as simple or complex as desired containing operators such as AND, OR, NOT, FOLLOWED BY, CONTAINING, etc. These broad sets of relationship tools can be used to query various data sets without SQL knowledge or having to wait in an IT queue. Gain real-time access to transactions with video linkage. Incoming video streams are tied to the item level of a receipt so that users can validate anomalies, training issues, and more instantly with the corresponding video of each event. Your managers need time to actually manage, which is why 20/20 also offers prescriptive alerts with closed-loop workflows. These prescriptive alerts ensure that you and your team stay informed of the most important events happening throughout your business as they occur. Automatically notify relevant parties directly to their smartphone or tablet inbox when user-defined criteria is met and the email alert is triggered. 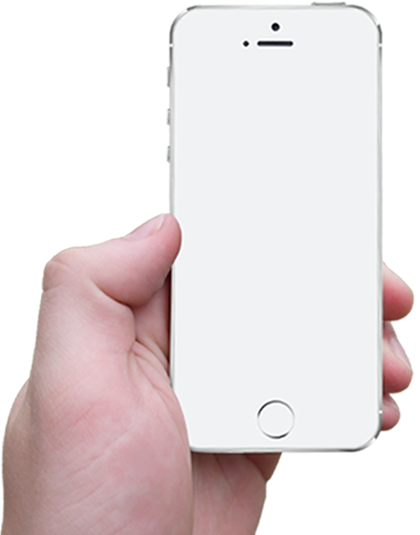 Included in these alerts is a customizable closed-loop workflow to ensure that events are dealt with appropriately. End-user compliance can be broken down into step-by-step documentation on how best to resolve the issue at hand.